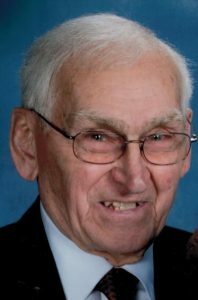 Paul R. Herron, 93, of Brighton Twp., passed away on February 4, 2019 in Providence Care Center. He was born on July 29, 1925 in New Cumberland WV., a son of the late John and Anna (Zeitler) Herron. He is survived by his wife of 68 years, Dolores (Alger) Herron and 23 nieces and nephews. He was preceded in death by his siblings; Carl, Glenn, John, Harry, Frank, Ray Herron and Eula Swain. Paul was a member of the Mt. Pleasant Evangelical Presbyterian Church in Racoon Twp., a member of the Monaca-Center F&AM Lodge 791, and an original founder of the Beaver valley Antique Equipment and Craft Association. He worked as the parts manager for Miller and Sons Chevrolet for 30+ years and also worked for Friends Car Dealership and Wright Car Dealership. Family and friends will be received on Friday from 4-7 PM in the Huntsman Funeral Home and Cremation Services, Inc. of Aliquippa. (2345 Mill ST. Aliquippa PA 15001) A gathering will take place Saturday from 10:30 AM until time of funeral service at 11 AM in the Mt. Pleasant Evangelical Presbyterian Church. (846 St. Rt. 18 Aliquippa)Please meet at the church. Rev. Rich Herbster will officiate. Private interment will take place at Beaver Cemetery.